Looking for a variety of Medspa services under one roof? Do you demand the highest standard of care? Refine Medical Spa is a physician-owned Medical Spa conveniently located in Fleming Island, Florida. Our experienced staff knows how to help people who are not satisfied with their skin. We’ve helped hundreds of women and men improve their skin texture, tone, reduce the appearance of fine lines, wrinkles, and skin discoloration. We also offer treatments and products to restore collagen and elasticity for a more firmer skin rejuvenation. 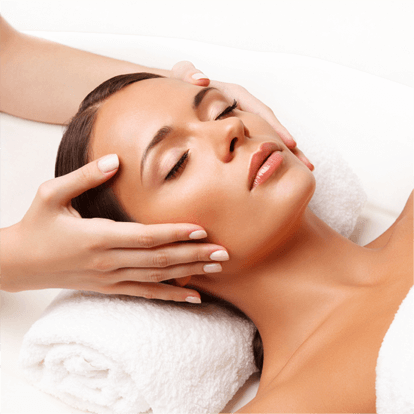 We also offer the highest quality spa facials and professional skin care lines. And, if you’re looking for relaxation or pain relief, a massage therapy session at Refine Medical Spa will do the trick. Are you looking for a natural way to handle hormone imbalance? Bio-identicals have many advantages over traditional methods of hormone therapy (HRT). We provide bio-identicals through pellet insertion every 3-4 months. This is a more natural way to handle symptoms of hormone imbalance. Dr. Powers and Dr. Edelenbos are currently providing Hormone Replacement Pellets. Please call North FLorida OBGYN at (904) 264-9555 to schedule a consult. Get started today with a complimentary consultation for new patients. We’ll walk you through our service menu and create a plan to achieve your most beautiful skin. Call Refine Medical Spa in Fleming Island, FL today at (904) 541-3055.